I hope you are all enjoying the gorgeous sunny Sunday. Yes, it is sunny and it is the weekend! More importantly, it’s my birthday tomorrow. No need to say that I am super excited to see what Grumpy Boyfriend planned for his princess. He must have thought about it really hard… Well, maybe not! He’s been out all night yesterday. Only back at 4am in the morning, totally drunk and his phone broken. Apparently, he dropped it on the floor and it was why he couldn’t call me. So, birthday celebrations. 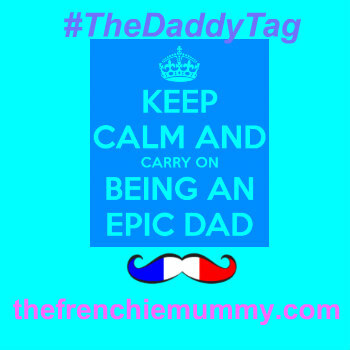 As Grumpy Boyfriend is currently recovering from a very bad hangover on the sofa (he still thinks he is 20 years old and can get out all night and be fresh as a daisy in the morning…), Frenchie Mummy is getting herself her present. Yeah, I just booked my tickets to Blogfest! 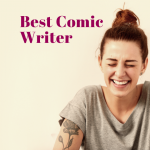 So excited to go as it’s my first blogging conference… By the way, don’t forget to vote for me for the Best Comic Writer category. Come on, click and vote! Merci in advance. 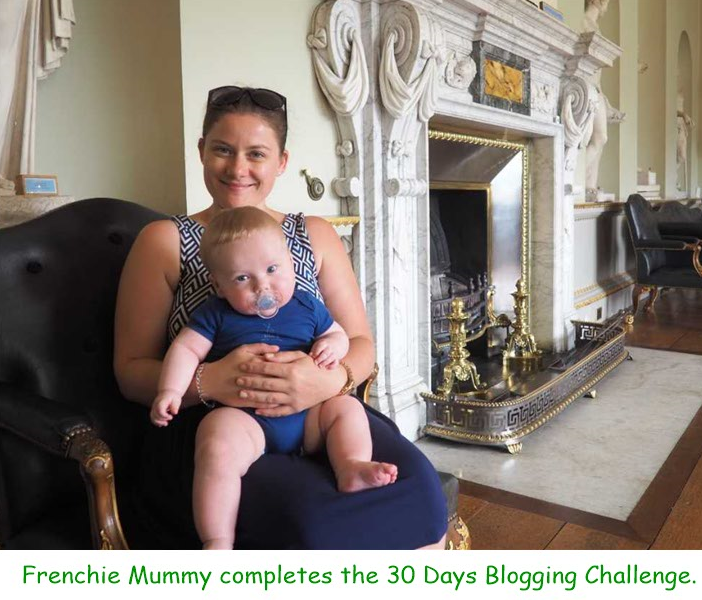 Another project I am going to start to celebrate mon anniversaire is the 30 Days Blogging Challenge. 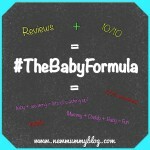 When I started blogging, I saw about it on Fi’s blog called Beauty, Baby and Me. I immediately thought it was great. I believe it’s about time I do something like that. I really enjoy this kind of posts and hopefully, it will help you guys to know more about me. Well in case you want to discover more about Frenchie ?. I promise I will try to make my answers as funny as usual. The challenge consists in answering a number of questions every day for the next 30 days. 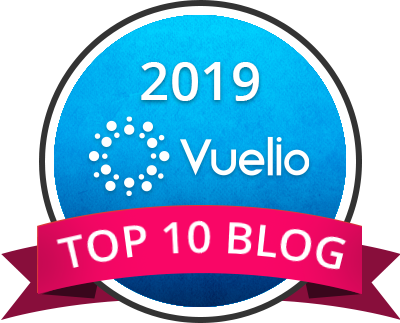 Now, you know me and what I do about blogging rules… De plus, it would be boring if I was to write the same type of posts for the next couple of weeks. So I won’t write each question religiously each day. I will write each post from the challenge whenever I feel like it. I may complete one or two every week? It will probably get us going until Christmas, but I am sure you are not in such a hurry to know all about me ?. Another thing I would like to change is the number of posts. I am turning 31 years old tomorrow. I know I am getting old!!!! Nicknames you have; why do you have them? Your favourite foods and why? Do you own a smartphone? Tell why you love it. I hope you will enjoy reading about my life. Don’t forget to check out my first post in the coming days! 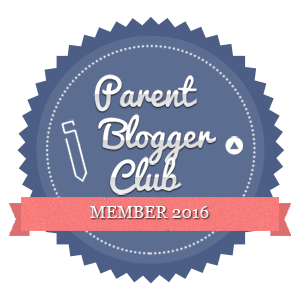 Please, could you also vote for us in the category NEW BLOGGER ON THE BLOCK by clicking on the following link? http://www.teapartybeauty.com/2016/07/bloggersblogawards-2016-voting-now-open.html/?utm_content=buffer10ad5. I know, what a demanding Frenchie Mummy, right? But I will love you forever . Joyeux anniversaire! Can’t wait to read your blogging challenge! Mazel Tov, congratulations, and Happy Birthday! Wow! Tha’s a trifecta of love headed your way for your birthday, when you turn thirty-wonderful! It just gets better! Happy Healthy Frenchy Mummy! M’wah! #stayclassymama #momsterlink How was the big day of Birth! Was Grumpy Boyfriend extra nice to you? Very nice I got nice jewellery ? It sounds like a fantastic challenge. Good luck! I will be busy for sure ? Happy Belated Birthday – hope grumpy boyfriend got himself off the couch eventually! I haven’t tried the 30 day challenge yet but it sounds good. Looking forward to finding out more about you! 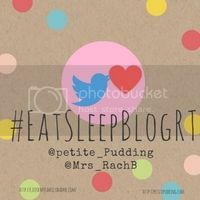 Hope to see you at Blogfest if I ever book my ticket!! Happy Birthday- This sounds like a great blogging challenge. Looking forward to reading more….. Auguri!! 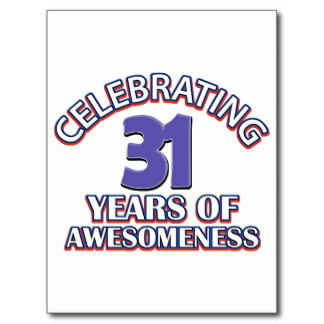 Hope you had an amazing birthday and I look forward to following your 31 day challenge! VOTED! I hope you get it girl. 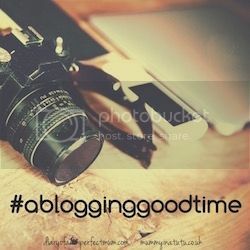 : ) I really want to do the blogging challenge but I’m waiting until everything settles down (haha like that is ever going to happen right?!?). I hope you have a fab birthday or you’ve probably already had it now, you have to take 31 shots (or drinks or maybe sips of a drink!) haha! Happy Birthday! Thanks for sharing with #StayClassyMama! Well first off Happy Belated Birthday. 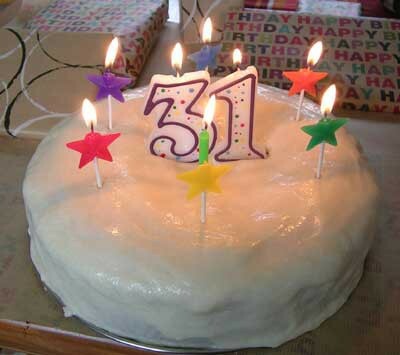 31 seems like forever ago for me. My best years were in my 30’s. So embrace it. I too have thought about doing that challenge but need to get the kids back to school so that I can get back to a blogging schedule. And what’s up with grumpy boyfriend out until 4am and you were home before 11pm??? My husband would pay for that one. And not just with a hangover. 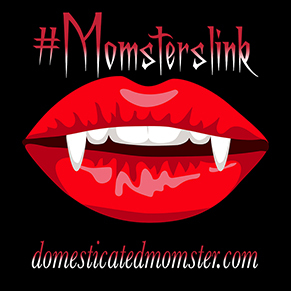 Thanks for linking up with #momsterslink.